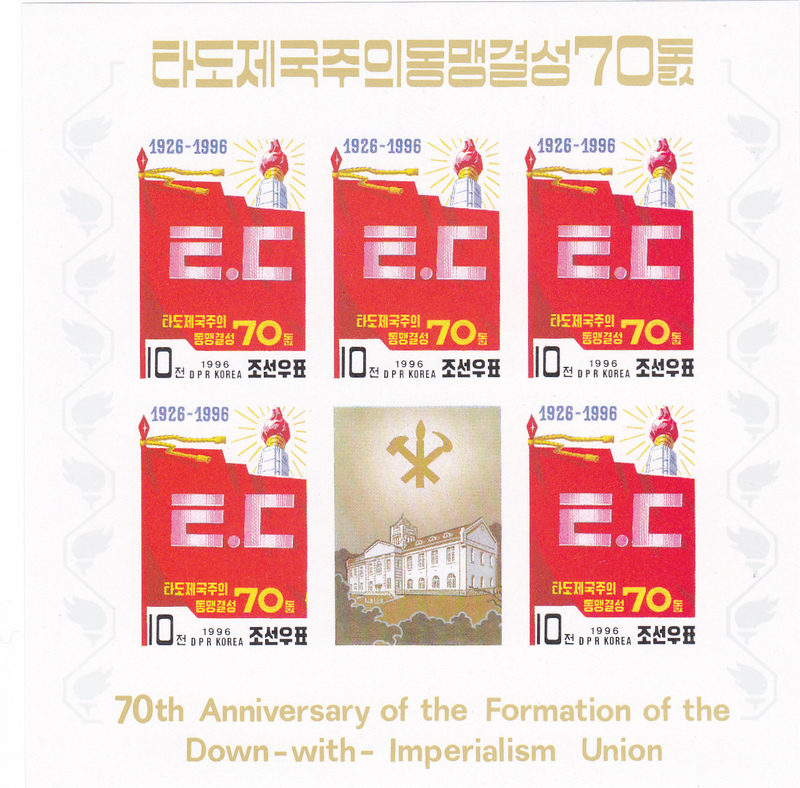 L4700, Korea "Down with Imperialism Union 70th Anni. ", 1996 Imperforate SS Stamp. MNH. SS Stamp with 5 pcs stamps. Imperforate.